Beamreach Negotiated Sale Period Extended Due to Continuing Inquires and Negotiations. Pre-Sold Lots will NOT be Reflected in the Sale Catalog until Monday, August 13th. Get your Bid In Now. 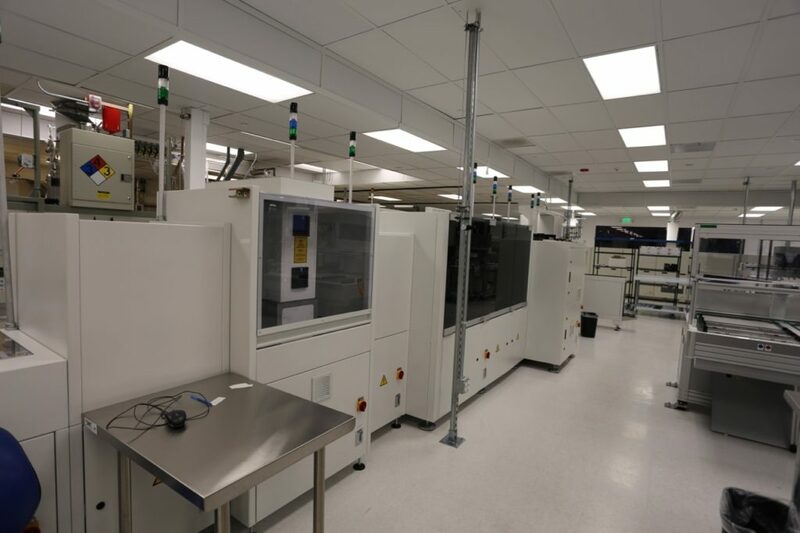 All tools have been professionally deinstalled and removed from the fab and are currently warehoused in Silicon Valley. ALL ITEMS BEING SOLD – AS IS, WHERE IS. Photos of the tools prior to removal and an abridged list (subject to confirmation) of the tools available below. Current photos and further description per tool coming soon. 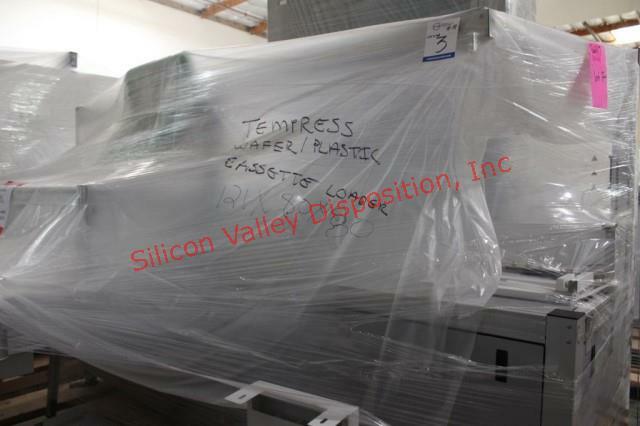 Singulus Wet Processing System Lot of (1) Singulus Modular, automated wet processing system Model Silex SDE800 S/N P-000145-0-3 02-01 for batch cleaning and etching in standard and high efficiency cell technology (PERC, HJT, IBC). 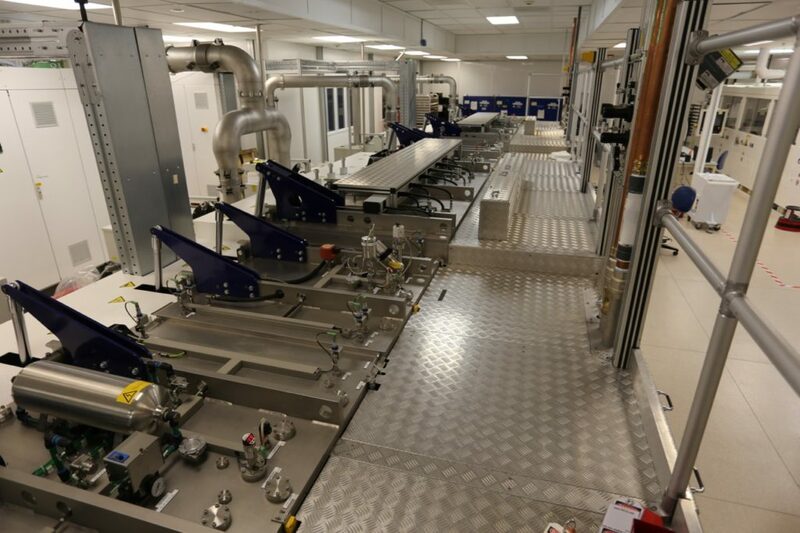 Five chambers with two automated conveyors, Siemens simaticrack pc. Tempress Systems Annealing/Oxidation Furnace Lot of (1)(2014) 4-tube horizontal annealing/oxidation furnace with full automation system. 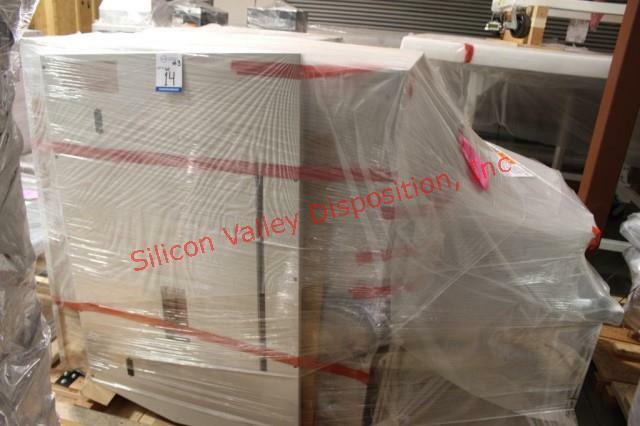 Spectre HV vapor dry etch system with full automation with 3 Shumacher absolute temperature controllers, 22 Brooks instrument thermal mas flow controllers – 5800 E Series with one pallet of spare parts please inspect. Roth & Rau Meyer Burger Multiple Coating System. Lot of (1) Roth & Rau Meyer Burger Multiple Application in Line coating System PECVD Deposition Tool. Model: MAIA (2014) PECVD tool for deposition of SiNi anti-reflective layer on front of solar cell, the passivation of the rear surface for the passivation emitter and rear cell PERC. 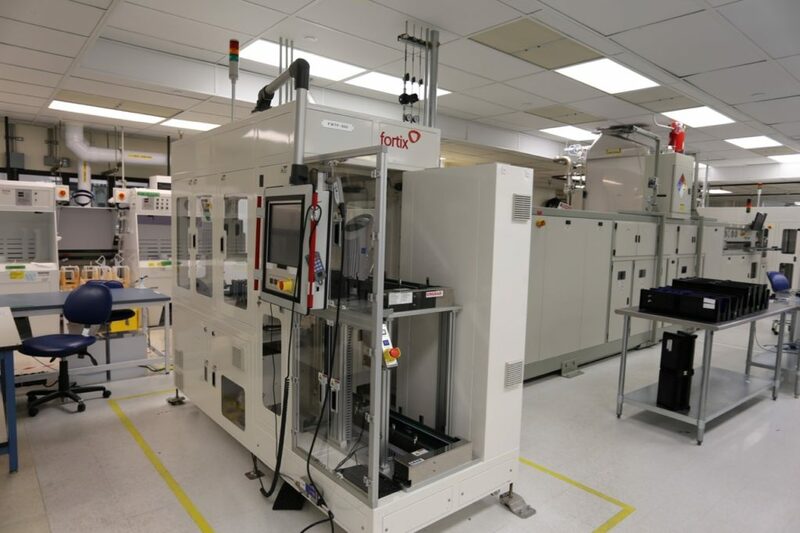 Also allows plasma-based texturing of wafer surfaces and coating deposition for HJT solar cells. Front Passivation. 1)- Edwards vacuum pump Model:iXH-4545TH (3) Edwards vacuum pump Model: iXH-4545TH 1) Edwards vacuum pump Model:iXH-6045TH (2) Herbert Barth Transformers Motorized Aluminum frame Load and unload cables and connectors. 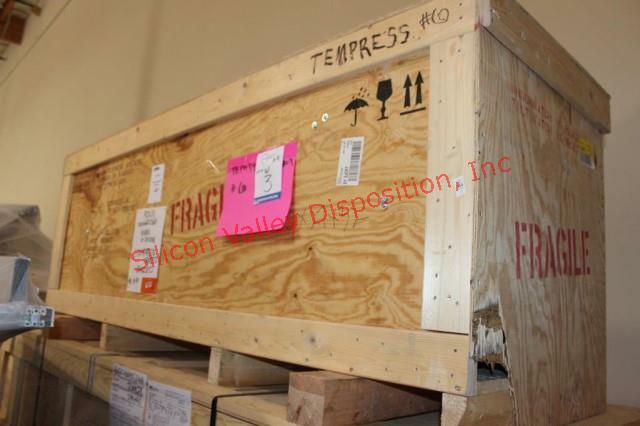 Approx.. 22 Pallets and crates please inspect. 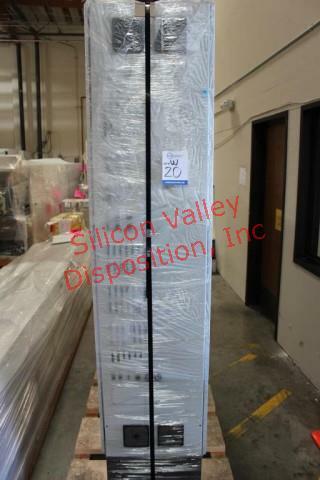 BTU International Furnace Oven Lot of (1) BTU International furnace oven Model:361-7-228N48DR361 TCA Series controlled atmosphere furnace. 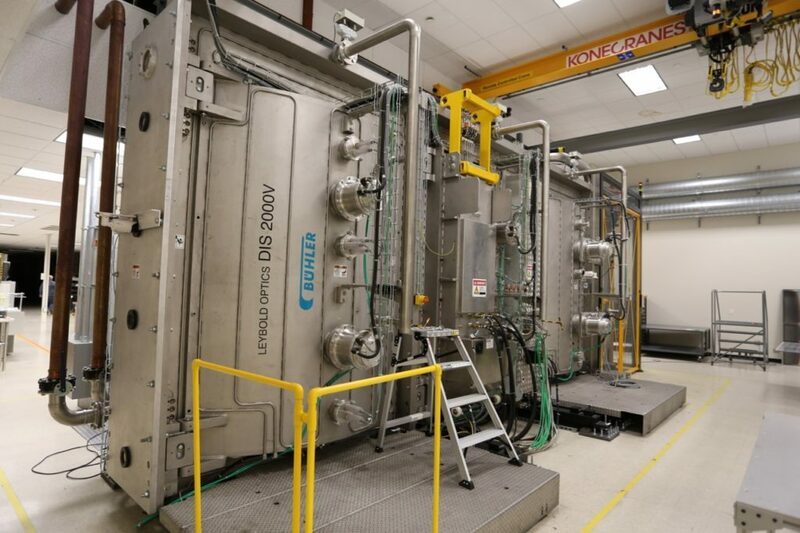 With Fortix Automatic Wafer Load and Unload MODEL FWTF-300, 10 foot conveyor, automated load/unload. Roth & Rau Meyer Burger PECVD Tool Lot of (1) Roth and Rau Meyer Burger Model: SiNA is a proven PECVD reactor designed especially for providing SiN layers with anti-reflective coating. (4) Edwards vacuum pumps mechanical booster Model:GV80/EH1200 Aluminum frame load and unload system. all the control panels and skids of spare parts Please inspect. Via Mechanics Inc. CNC Laser Drilling Machine Lot of (1) 2014 Via Mechanics Inc. CNC C02 Laser Drilling Machine Model:LC-2LA252E(TOKU) (2014)MFG:K501410001 Two beam 340W laser drilling machine. Table size 813mm x 1310mm. Two cameras/beam; 65-200 um hole diameter. Max. Drilling area 635X813mm. XY Positioning speed 50m/min. Number of beam 2. Laser output 500W. (1) Orion inverter chiller Model:RKE3750A-V (1) Fuji Plant Sust collector Model:JBJM202-HV 1) Hitachi Vortex Blower (1) SMC Air Dryer right and left modules; (1) Pallet of spare parts. Hitachi Via Mechanics C02 Laser Drilling Machine Lot of (1) 2012 Hitachi Via Mechanics C02 Laser Drilling Machine for printed Circuit Boards Model:LC-2L252E MFG:K516112002 Two beam 340W laser drilling machine. Table size 813mm x 1310mm. Two cameras/beam; 65-200 um hole diameter. Max. Drilling area 635X813mm. XY Positioning speed 50m/min. Number of beam 2. Laser output 500W. (1) Orion inverter chiller Model:RKE3750A-V (1) Fuji Plant Sust collector Model:JBJM202-HV (1) Hitachi Vortex Blower (1) SMC Air Dryer right and left modules; (1) Pallet of spare parts. 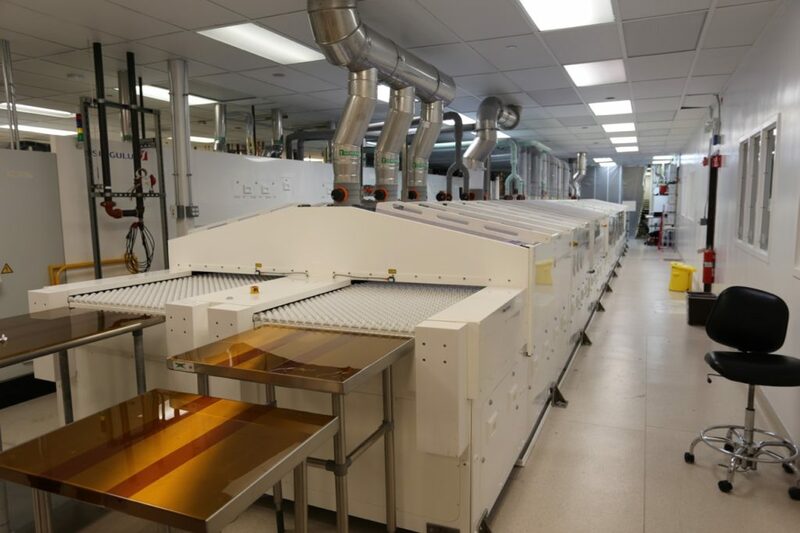 Applied Materials Baccini Solar Cell Printing Sys. 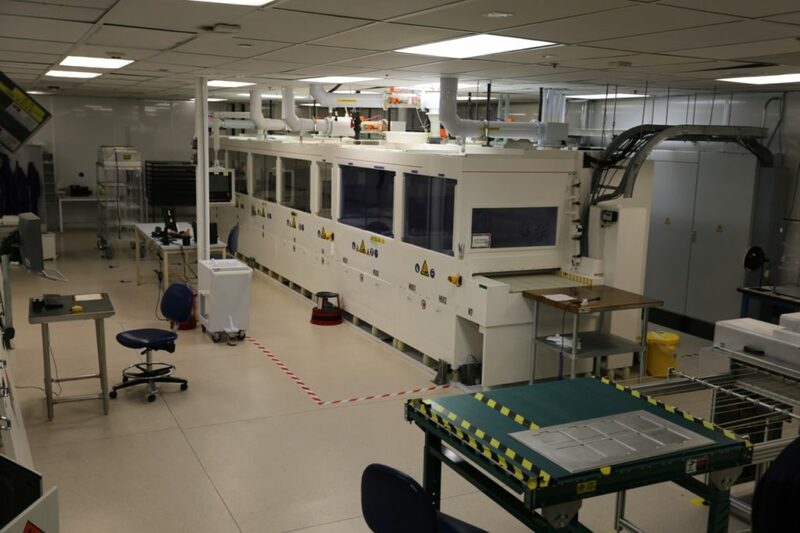 Lot of (1) (2014)Applied Materials Baccini Solar Cell Printing System. 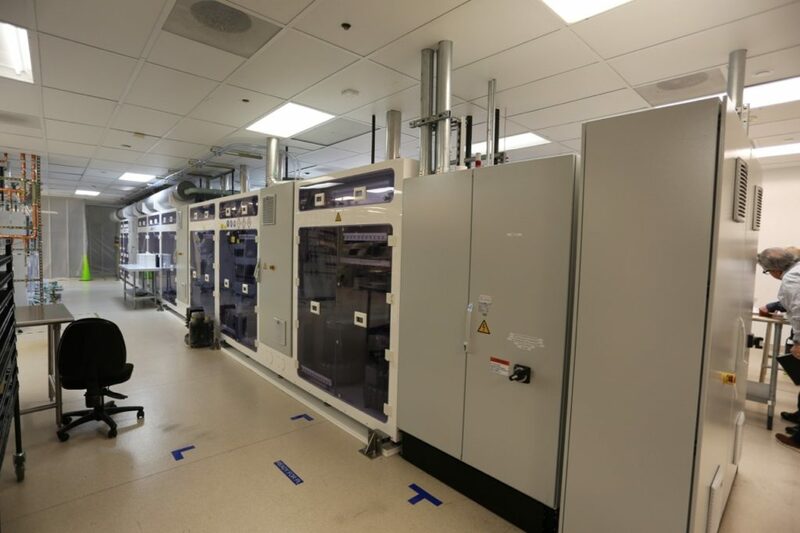 (2014) (1) 4 Station Rotary Print Unit, (1) Drying Oven, and Automatic Load and Unload (1) Transfer module and (1) SMC Hec-A thermal electric air cooled chiller system. 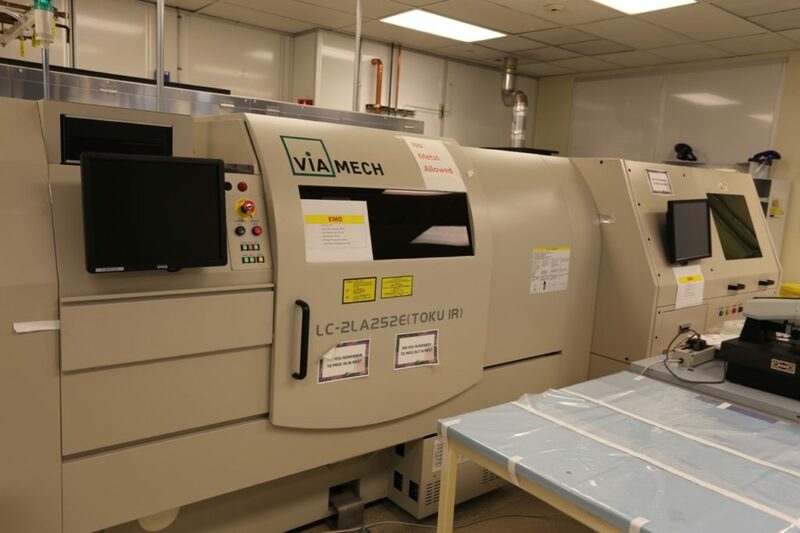 Via Mechanics Inc. CNC Laser Drilling Sys. 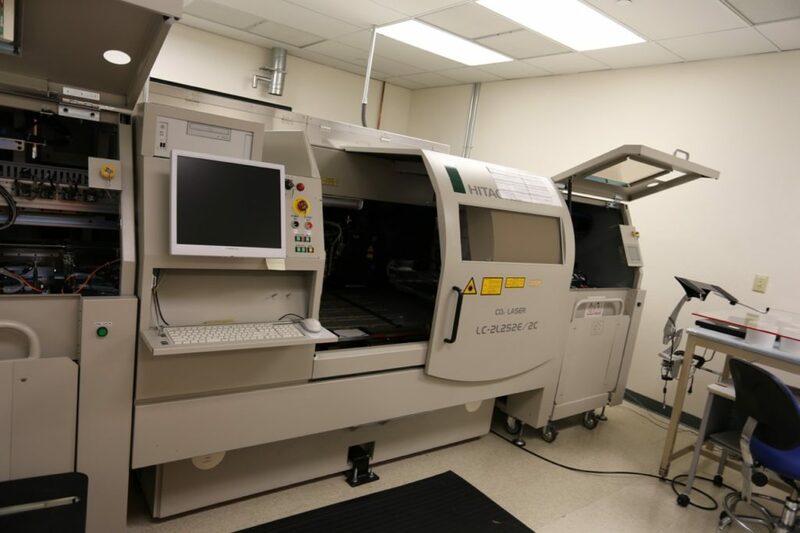 Lot of (1) ( 2015) Via Mechanics Inc. CNC Laser Drilling System Model:LC-2LA252E (TOKU IR) MFG:K501430001 Mechanics Inc. C02 Two beam 340W laser drilling machine. Table size 813mm x 1310mm. Two cameras/beam; 65-200 um hole diameter. Max. Drilling area 635X813mm. XY Positioning speed 50m/min. Number of beam 2. Laser output 500W. (1) Orion inverter chiller Model:RKE3750A-V (1) Fuji Plant Sust collector Model:JBJM202-HV (1) Hitachi Vortex Blower (1) SMC Air Dryer right and left modules; (1) Pallet of spare parts. Via Mechanics C02 Laser Drilling Machine Lot of (1) 2014 Via Mechanics Inc. CNC C02 Laser Drilling Machine Model:LC-2LA252E(TOKU) (2014)MFG:K501310024 Two beam 340W laser drilling machine. Table size 813mm x 1310mm. Two cameras/beam; 65-200 um hole diameter. Max. Drilling area 635X813mm. XY Positioning speed 50m/min. Number of beam 2. Laser output 500W. (1) Orion inverter chiller Model:RKE3750A-V (1) Fuji Plant Sust collector Model:JBJM202-HV (1) Hitachi Vortex Blower (1) SMC Air Dryer right and left modules; (1) Pallet of spare parts. 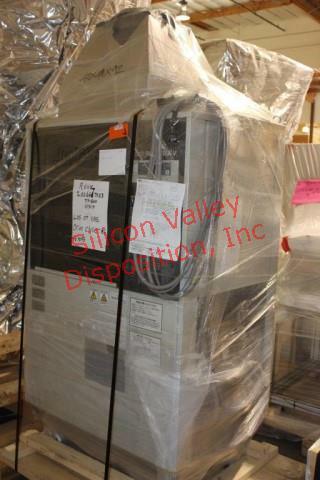 EPI Tool and BCDS Scrubber Lot of (1) EPI Tool with BCDS Scrubber (2) Manin controllers Pallets of Misc. spare parts , Hardware, gal lines cables ,glass Please inspect. 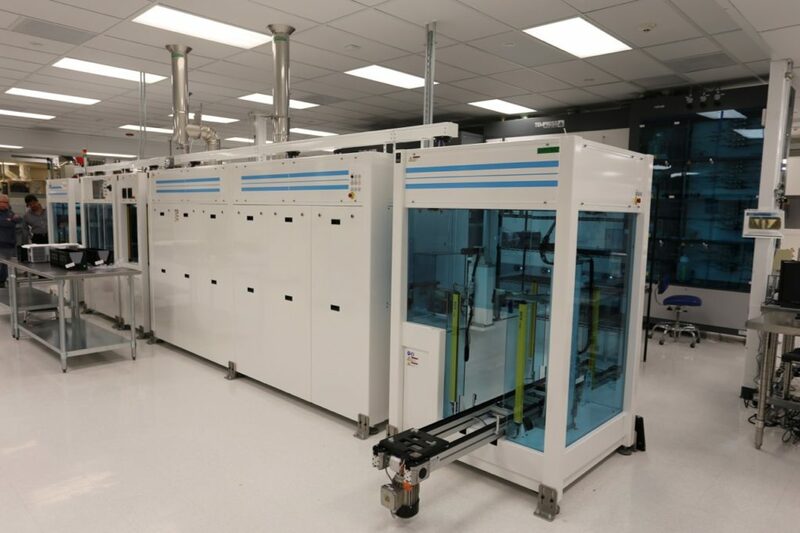 Applied Materials Baccini Screen Printer Sys. 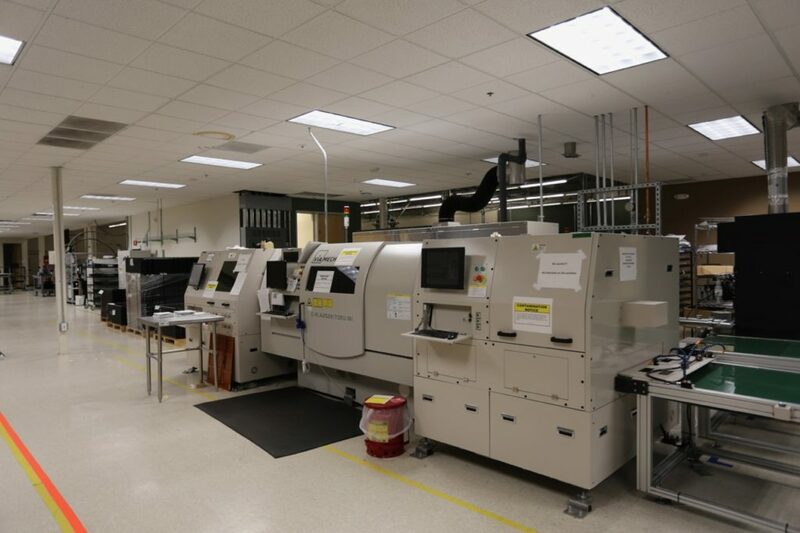 Lot of (1)Applied Materials Baccini Screen Printer System (2014) Dual Screen Print Line Model: Softline 2.0 , (2) 4 Station Rotary Print Units, (1) GP Solar inspect Chrome G Print-QFS.CAM Inspection Station(1)ISRA Vision GP solar print-Q,SF Inspection system. , (2) Drying Ovens, (1) Automatic Unloader (1) Automatic unloader (1)Transfer module. (1) SMC Hec-A thermal electric air cooled chiller system. 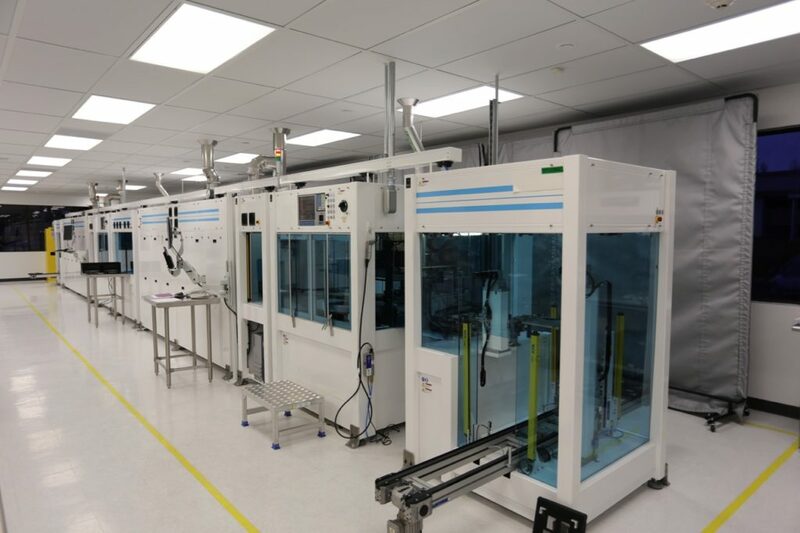 Screen printer line within Softline 2.0 production line. 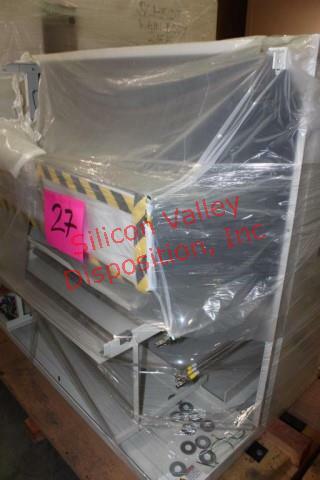 Akrion Solar Wet Bench System Lot of (1) Akrion Solar Wet Bench System 84″ Model : V3 with (1) support section with controllers and compartments with (1) Pallet of miscellaneous Monitor, Glass and parts. 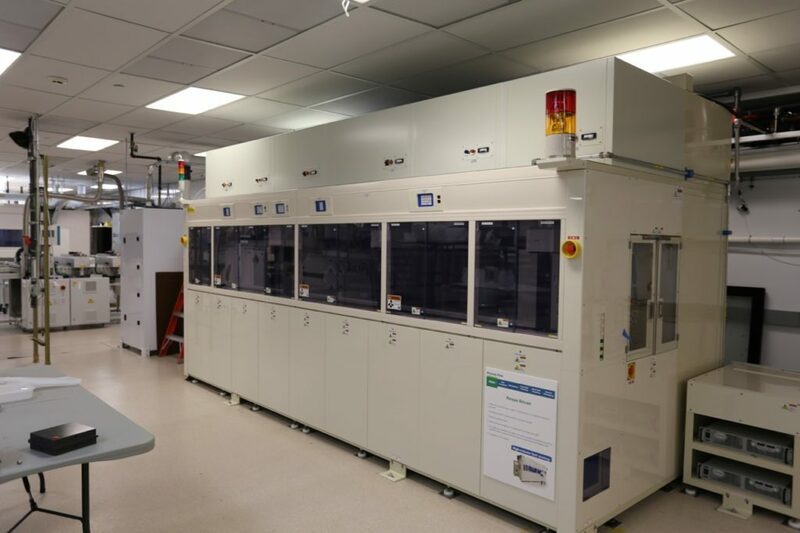 EG Complete Probe Solution Wafer Probe Station Lot of (1)EG Complete Probe Solution Wafer Probe Station Model:4090u+ with no microscope with national instruments cables. Please inspect. 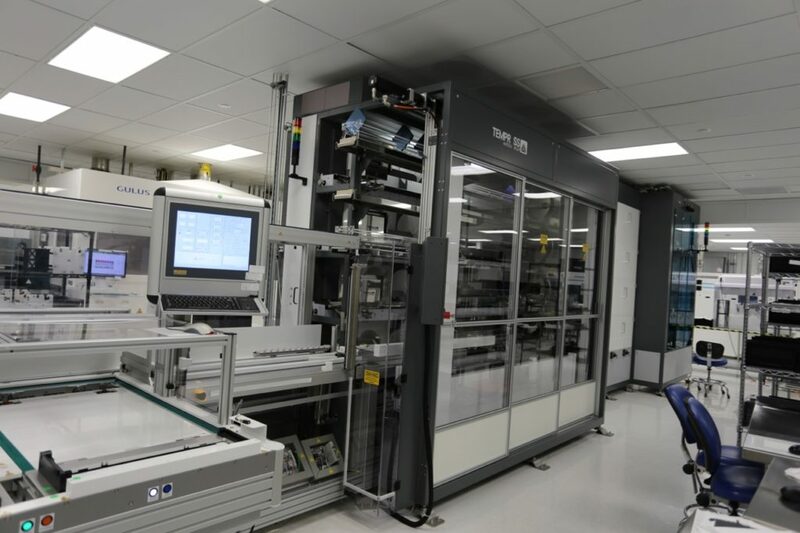 GL Automation Solar Wafer Transfer System Lot of (1) GL Automation Solar Wafer Transfer System Model: WTS6-SC-13-D With 2 dry cassettes (1) Central Pneumatic air system Monitor and keyboard on heavy duty table. Custom Made Axis Fixture Substrack Rack Lot of (1) Custom Made Axis Fixture Substrack Rack aluminum frame 31″ X 31″ X29″ on heavy duty casters. Precision Placement Machine Inc. Pick- Place Sys. 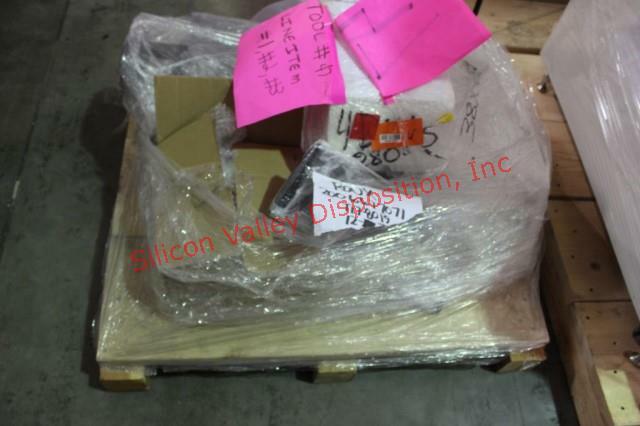 Lot of (1) Precision Placement Machine Inc. Quad Model: QVS-1 Automated PICK & PLACE Sorter System with UP TO 40 Rails. with QSV-1 Wide, or QSV-W, supports boards up to 30″ x 24″ for SMT assembly. 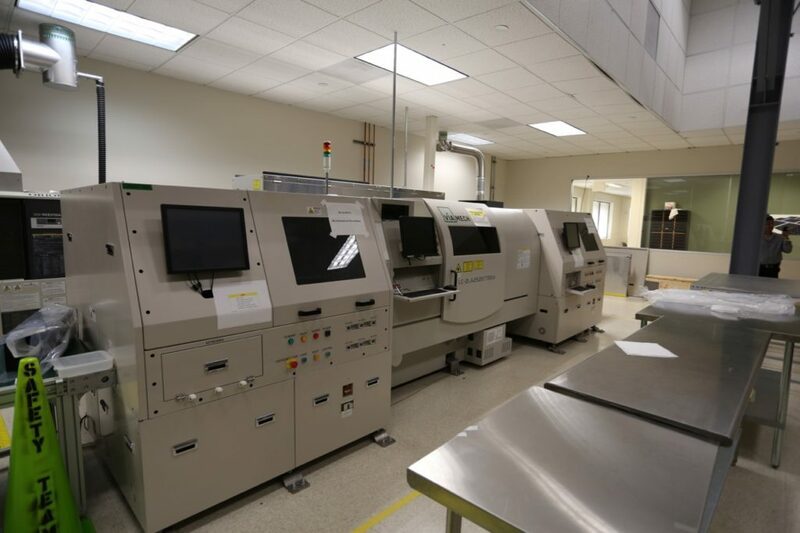 PPM Camelot System Adhesive-Solder Sys Lot of (1) PPM camelot Automated adhesive- Solder Systems,Inc, With Camalot adhesive dispenser model: 5000. 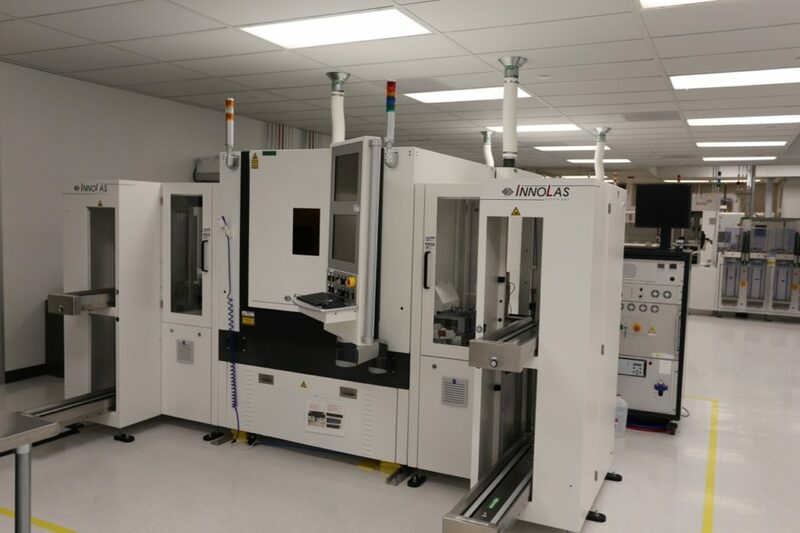 3 Axis The CAM/ALOT 5000 System provides high-speed adhesive or solder paste dispensing for applications involving large boards or mulit-up panels. 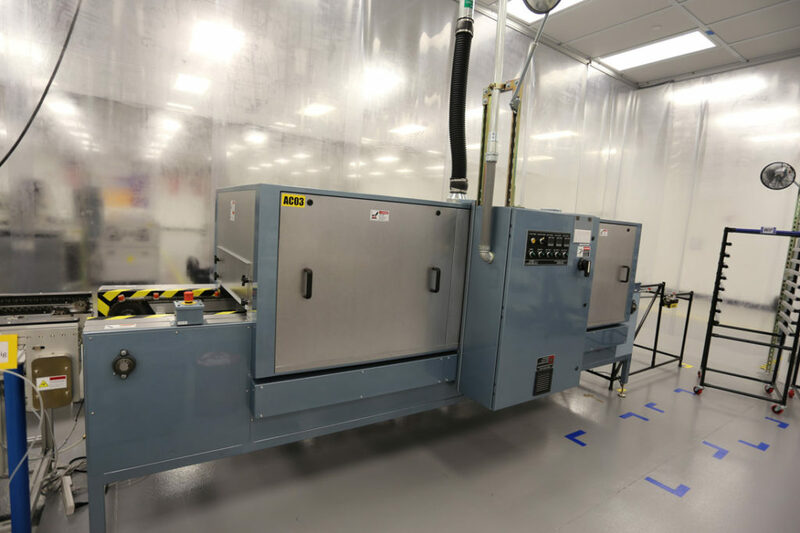 Being known as the “work horse” of the industry, the CAM/ALOT 5000 utilizes rotary positive displacement pump technology for dependable high-speed dispensing, and lead screw drives on all three axes. Sierra Therm Controlled Atmosphere Conveyor Furnace Lot of (1) Sierra Term Curing and Drying Oven Model: 2K36-182C128-14AN Conveyor belt furnace for metallization. 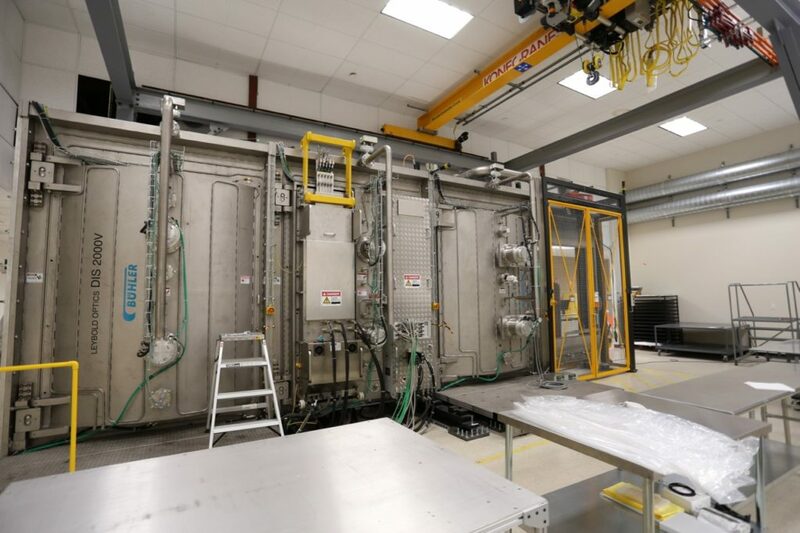 Temp: 600 oC36 Ft chamber 36″ conveyor with control panels and power supply cabinet. Isra Vision automated GP Solar Optical inspector. 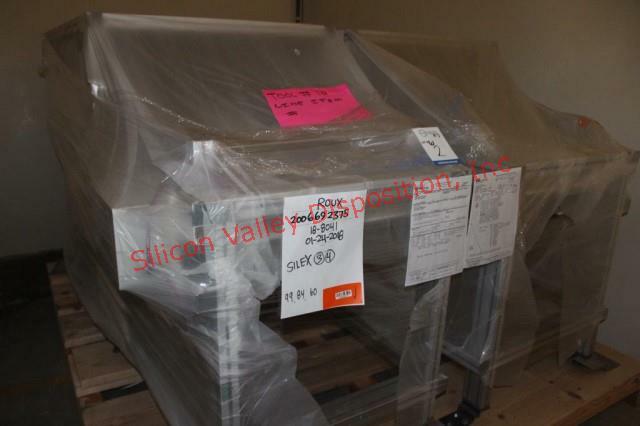 Lot of (1) Isra Vision automated GP Solar Lamination Optical inspection System. Model: Matrix Inspector Laser Optical Inspection camera Matrix with automated Xand Y Motion. Custom made heavy suty aluminum frame fixture with aluminum frame table 8′ x 4′. Spire Corp, Sun Simulator Lot of (1) Spire Corp, Sun Simulator Model:SIM3113SLP Modular flash tester For high volume production solar Modules with Main control panel and power supply. 240v 3PH 60 Hz. 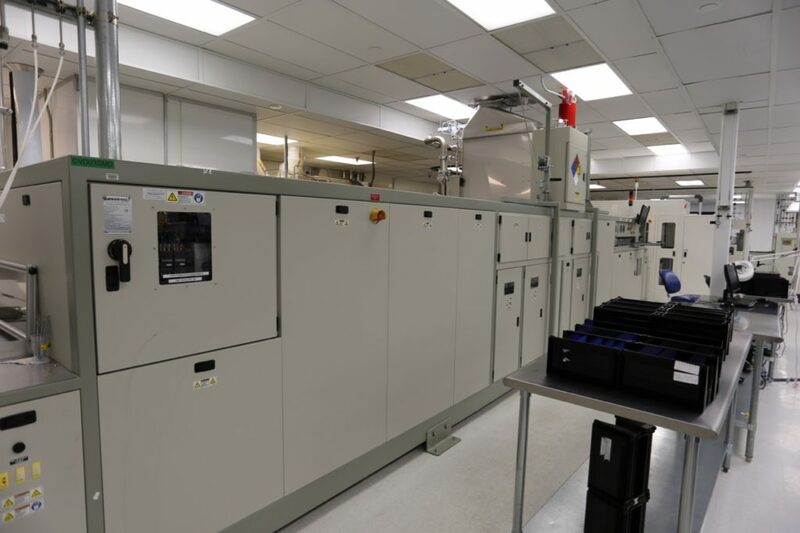 TPS Tenney Environmental Test Chamber Lot of (1) TPS Tunney Environmental Test Chamber Model:ETCU132-RCW15 S/N: 0803000072 Temperature Range -60°C to +200°C Humidity Range 20% to 98% in the dry bulb temperature range of 20°C to 85°C limited by a 3°C dew point Interior Dimensions: W x D x H in. (cm) 48” wide x 79” deep x 60” high (121.9 x 200.7 x 152.4) Exterior Dimensions: W x L x H in. (cm) 5.5” wide x 119” long x 112” high (191.8 x 302.3 x 284.5) Standard Voltage 460V 3 Phase 60 Hz.